The third annual Nashoba Driving Derby in conjunction with the Nashoba Carriage Classic will be held Friday, October 19, 2018. This event has become one of the highlights of the show! The Pleasure Show will be held on Saturday, October 20, and that evening we will hold our annual Nashoba Costume Class, along with our Sidesaddle Division. We welcome sidesaddle competitors for the costume class as well, and we are looking forward to a beautiful show! 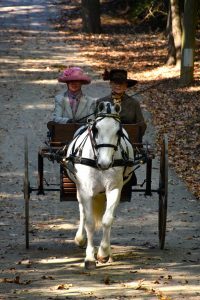 The Magnolia Drive will take place on Sunday morning, October 21, and will include both carriage drivers, and sidesaddle riders accompanied by gentlemen outriders. We welcome competitors, spectators, and volunteers. Join us for this elegant drive and enjoy a trip back in time! 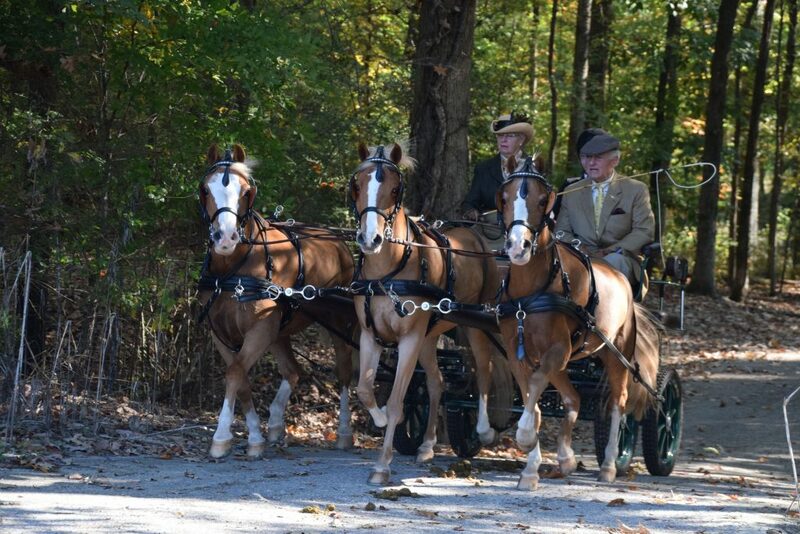 The Nashoba Carriage Association was founded in 1997 by a group of Memphis, Germantown, and Collierville horse enthusiasts who wanted to take their sport a step further. Several of the founders, including Lib Whitmore, Melissa Jones, Sonny and Mary Liz Foster, George and Jean Holmes, and Imogene Erb had already hitched up and were enjoying driving for pleasure, but they wanted to start a group and learn the more competitive aspects of driving. After visiting and competing in several pleasure driving shows, the group decided to host its own show. The first Nashoba Carriage Classic appeared on the American Driving Society (ADS) calendar in the fall of 1999. The show was sanctioned by the ADS and drew competitors from five surrounding states. It has continued to grow and has become a favorite in the Southeast not only for its competition, but also for its hospitality. The first shows were held at the historic Schilling Farms in Collierville. In 2003, the Nashoba Carriage Classic was moved to the Germantown Charity Horse Show Grounds, a landmark of Germantown’s equestrian past and future. In earlier years, the pleasure show was accompanied by an Arena Driving Trial on Friday evening, and in 2016, we replaced the ADT with the popular format, the Driving Derby. In 2017, we also added a sidesaddle division. Held in October, the three-day show begins on Friday with the Driving Derby, continues on Saturday with the pleasure show and sidesaddle classes, and ends on Sunday with the Magnolia Drive & Ride, held in the lovely McFadden Woods adjacent to the show grounds. Participants in the Magnolia Drive are treated to finger sandwiches and refreshments on the lawn of a beautiful home midway along the route. Spectators are welcome and encouraged to come out and enjoy our sport! Friday evening hosts our “Thrill on the Hill,” when Arena Driving Trial participants show off their speed and dexterity through a course of hazards. 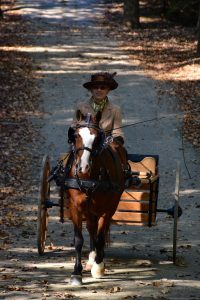 Volunteers at the Nashoba Carriage Classic enjoy having a front-row seat as “spotters” on the Magnolia Drive, where beautifully appointed horses and carriages make their way through a wooded course that will take you back in time. 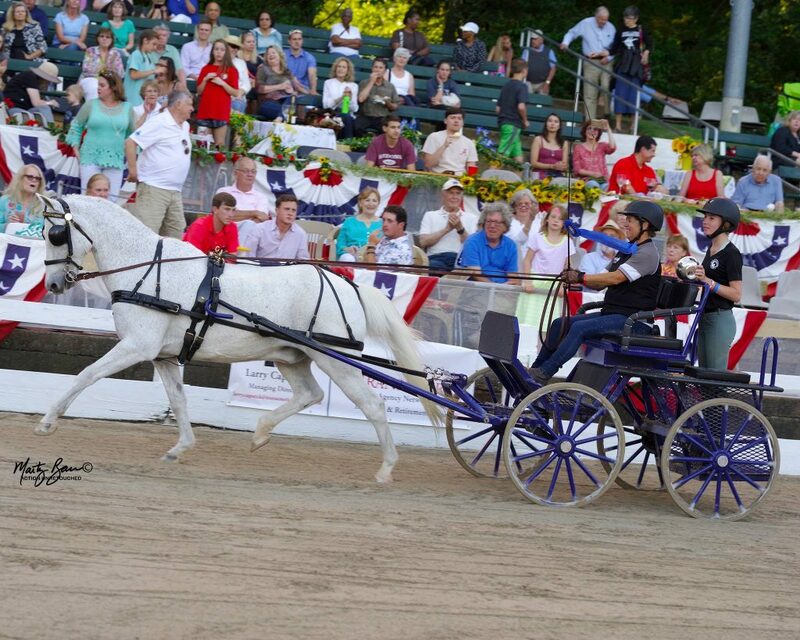 To follow the Nashoba Carriage Classic on Facebook, click here. Please check back for dates and details for our upcoming events! Opportunity Carriage Pleasure Driving Division at the 71st Annual Germantown Charity Horse Show!